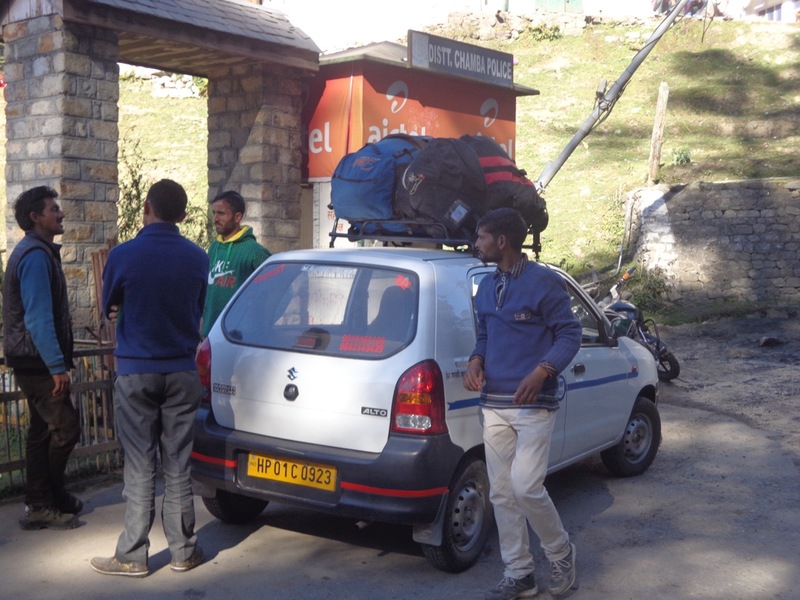 Sanjay, the caretaker and cook at Hotel Megha View, suggested me a route to explore Chamba region. This involved some kind of timed run using the bus system that runs like a clockwork. He explained that the buses are limited and I had to catch buses at certain times else I would be stranded with no option but to hire a taxi. Well, I have played through the toughest of timed run secrets while completing the classic Tomb Raider games. At 9:25, a private bus passes by my hotel that heads towards Khajjiar and proceeds to Chamba. 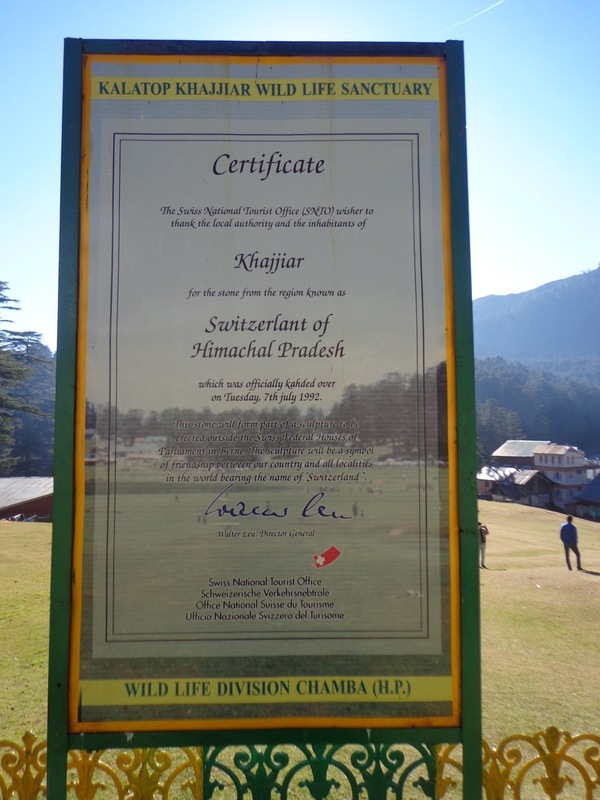 I skipped Kalatop Wildlife Sanctuary and got down at Khajjiar. 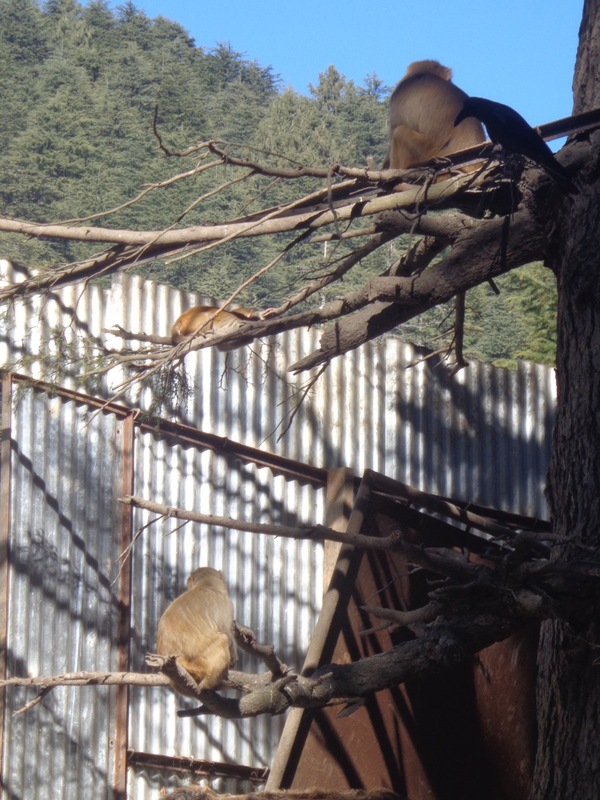 The Wildlife Sanctuary is a nice picnic spot and may be suitable for a family or couple. 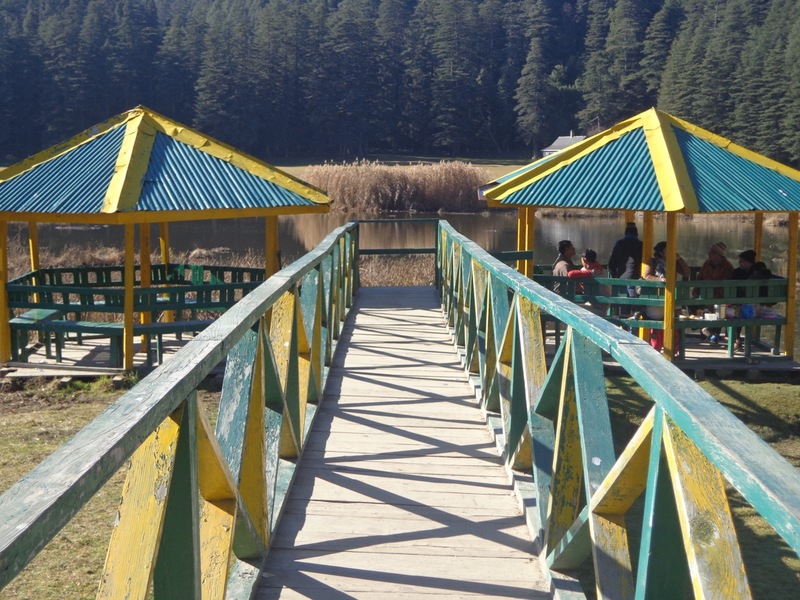 Then again, Khajjiar also offers the same in a clearer piece of land. They say that Khajjiar is the Switzerland of India. Well there is a certificate (with some misspellings) that certify so. 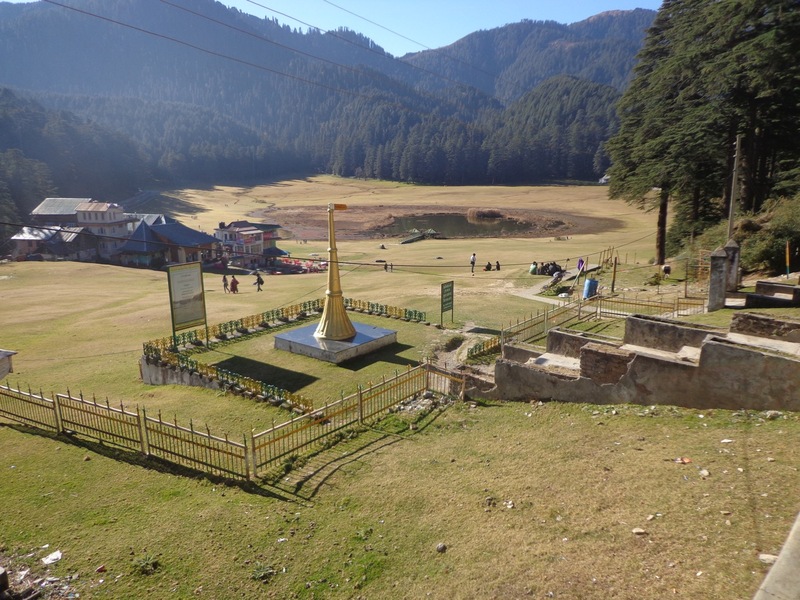 The Khajjiar field and the lake. There are a few shops on the left that serves refreshments. 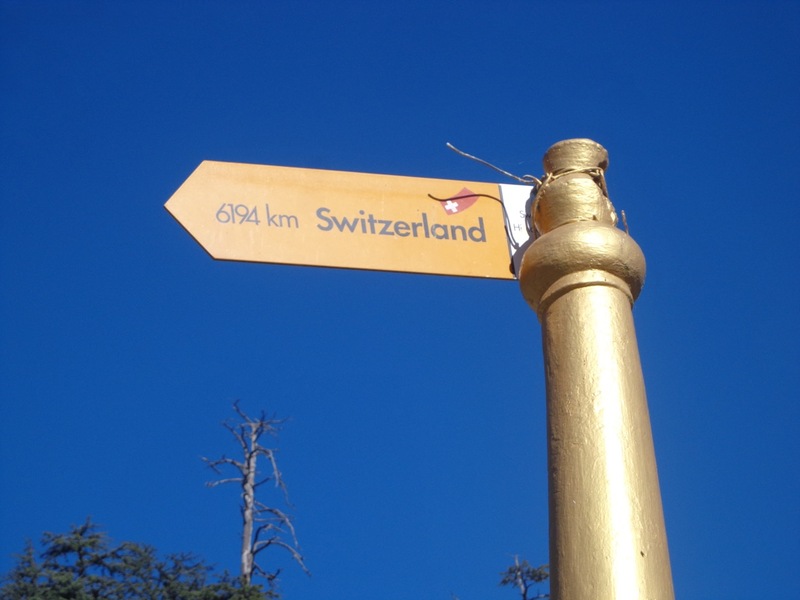 A pole says that the real Switzerland is 6194 kms away. The plaque that says that Swiss National Tourist Office has certified this place as Switzerland of India. These shades that overlook the lake (which was dried at that moment) are nice places to have a lunch. Visitors can undertake a few activities like paragliding and horse riding. The bags on top are packed with paragliding equipment. 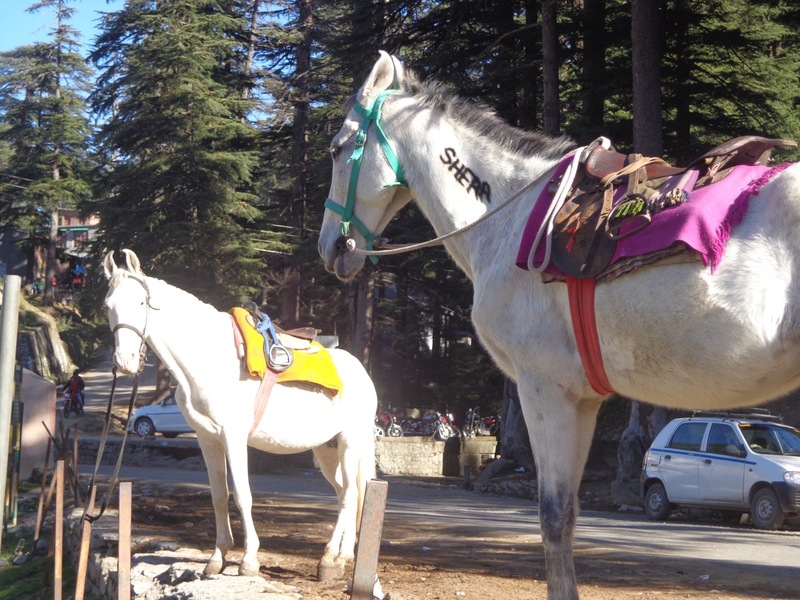 One can book horses and mules for a few minutes of joyride. Two kids selling plastic flowers. 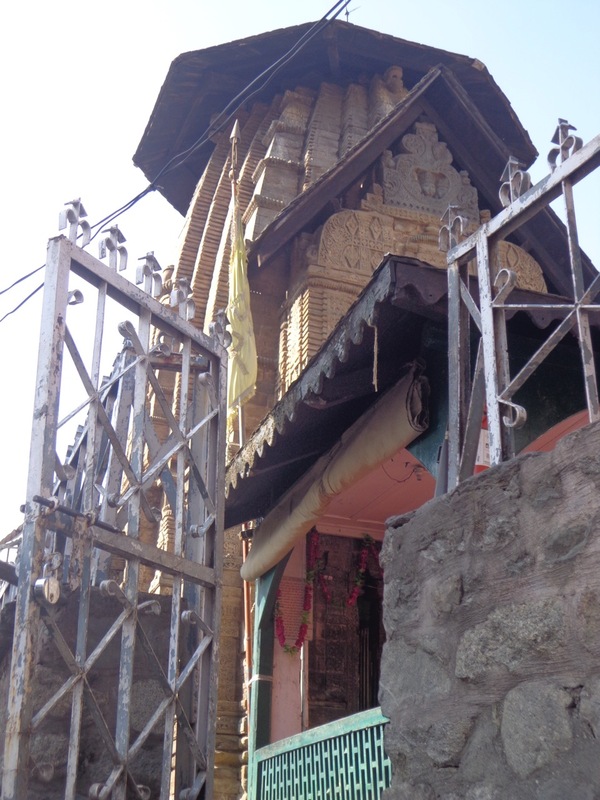 There is an old Naga (Snake) temple here. Mythology says that Khajji Nag resides in the lake at the centre of the field. 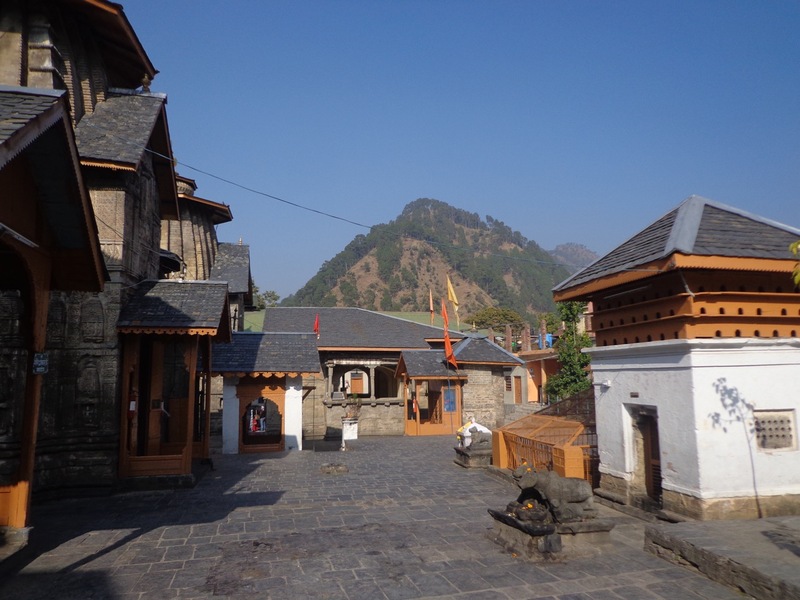 This temple, dedicated to Khajji Nag, was built sometime in 12th century. 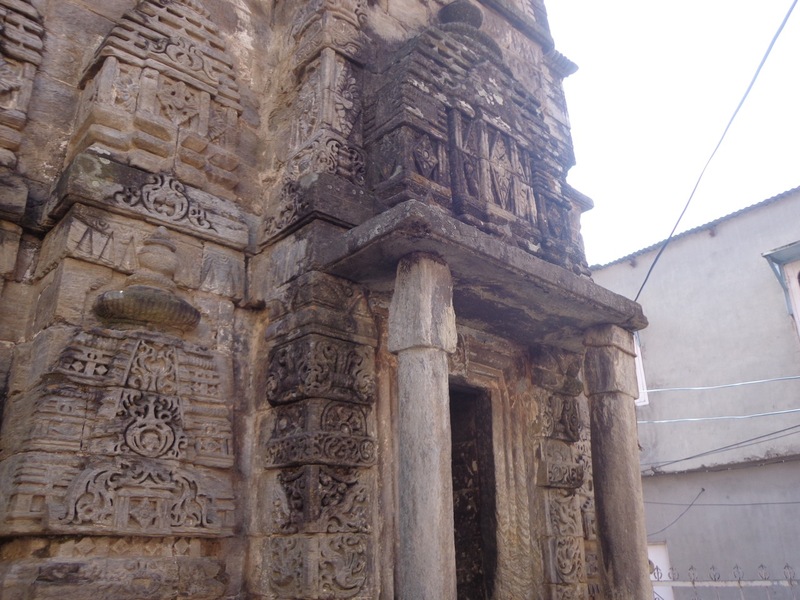 It was later renovated by Raja Prithvi Singh’s nurse in 17th century. Ground quality could have been better but the place really looks like Swiss fields during summer. The grounds in Switzerland are more vast and greener. I had to catch the next bus to Chamba at 11:00. I kept taking some random snaps while waiting for the bus. Three monkeys playing at the Khajjiar bus stop. 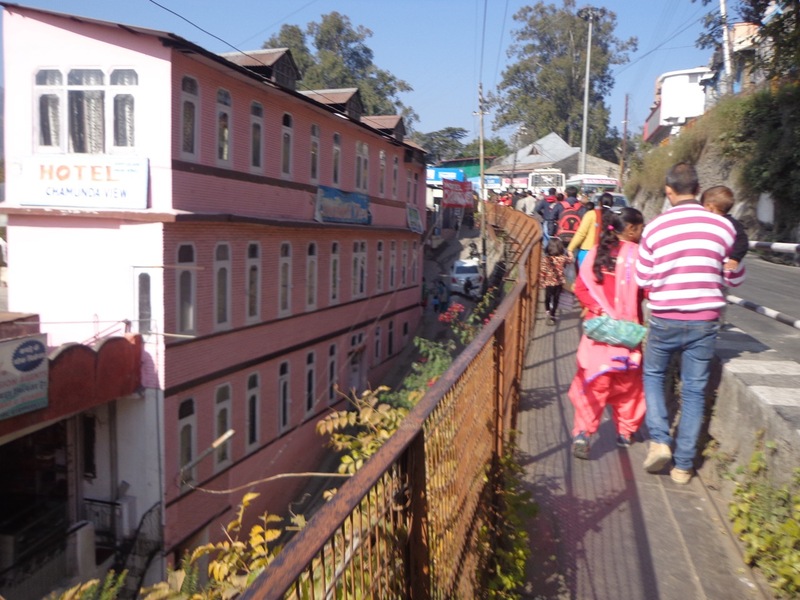 The bus ride to Chamba was very picturesque. Since it was almost noon, the visibility was excellent. 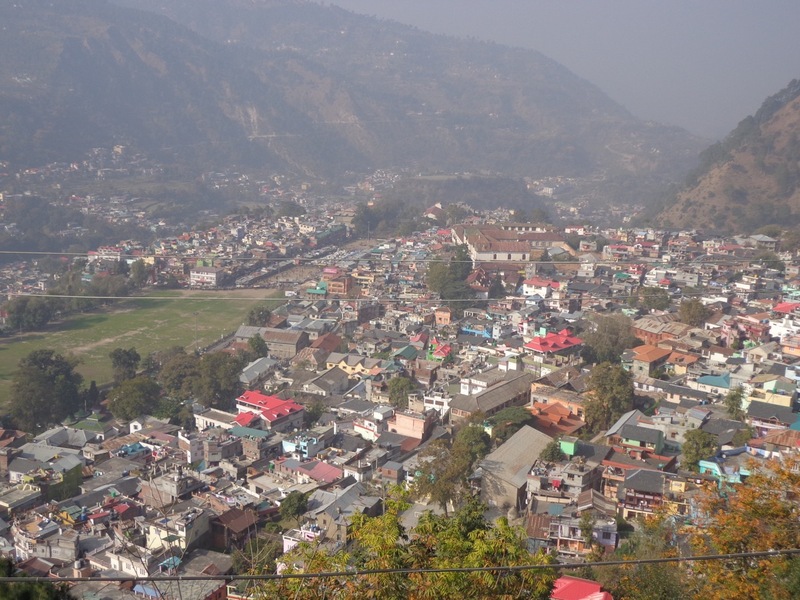 The Ravi river cuts right through the mountains. 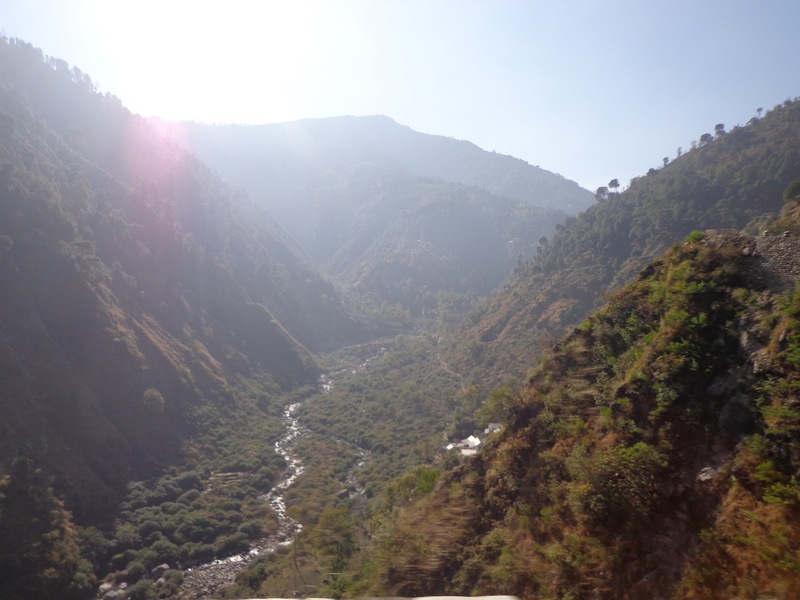 Chamba Valley looked beautiful as the bus travelled through the winding roads. The bus dropped me off at Chamba at 12:10 pm. 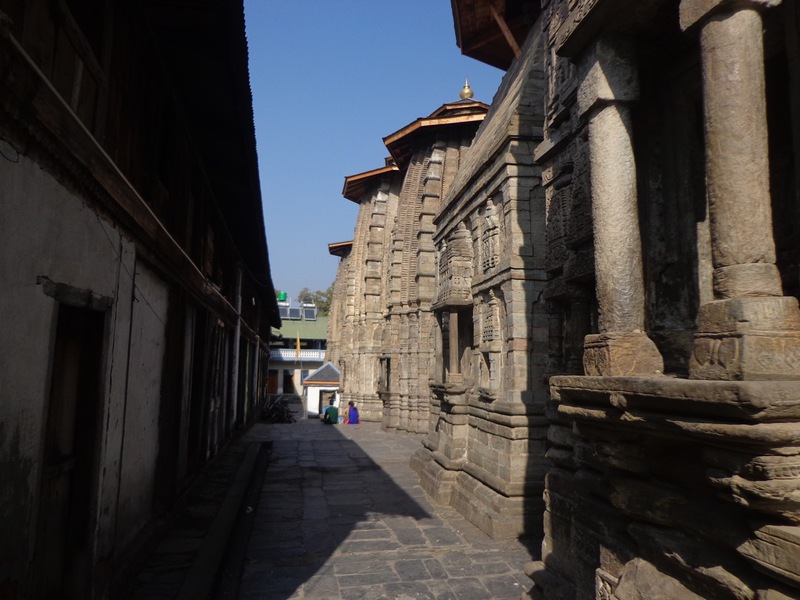 I had exactly two hours to explore the market and some temples. 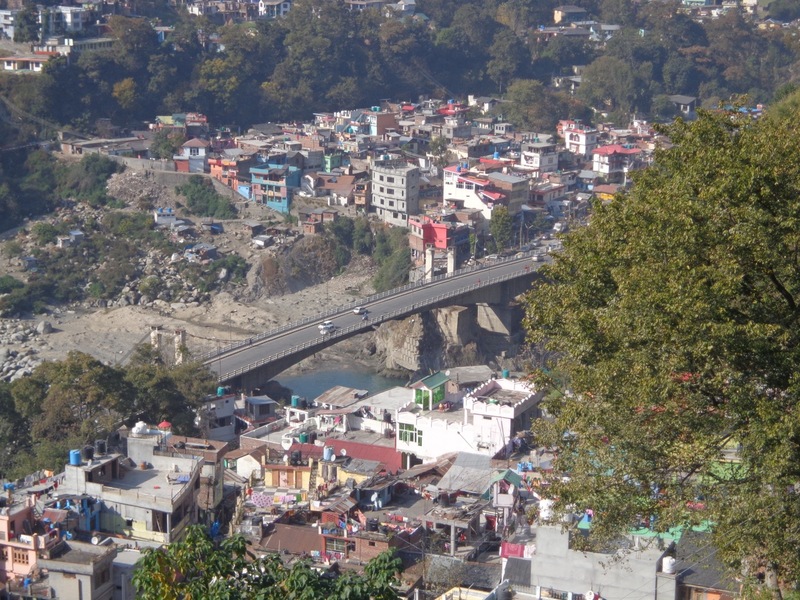 The bridge that the bus took to enter Chamba, as seen from the edge of Chaugan. The road to the bus stop has a hanging road for pedestrians. 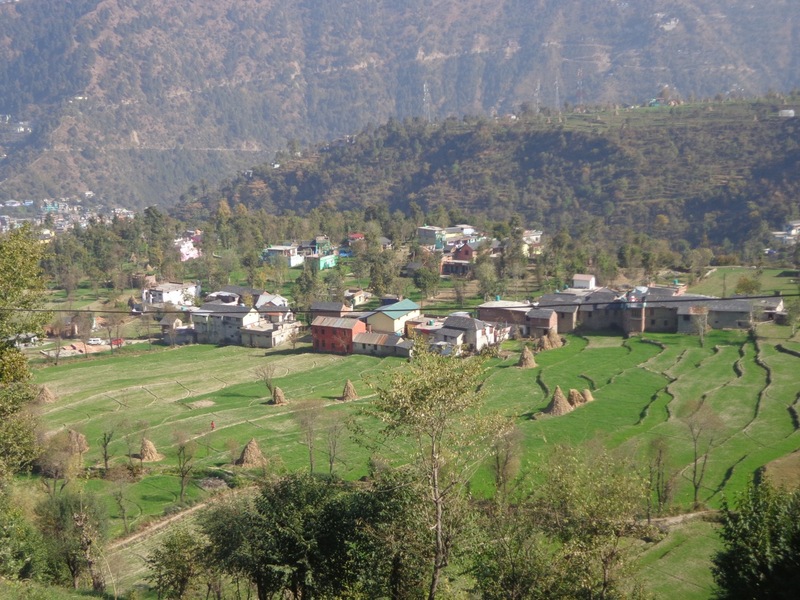 There is a large field called Chaugan that forms the heart of Chamba. I spent some time roaming around it and searching for places to visit. 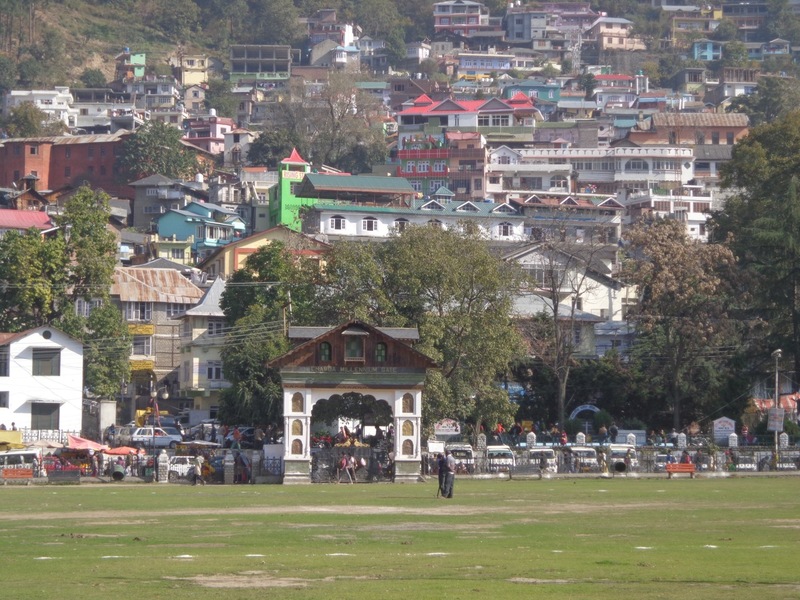 The Chaugan was closed to public. 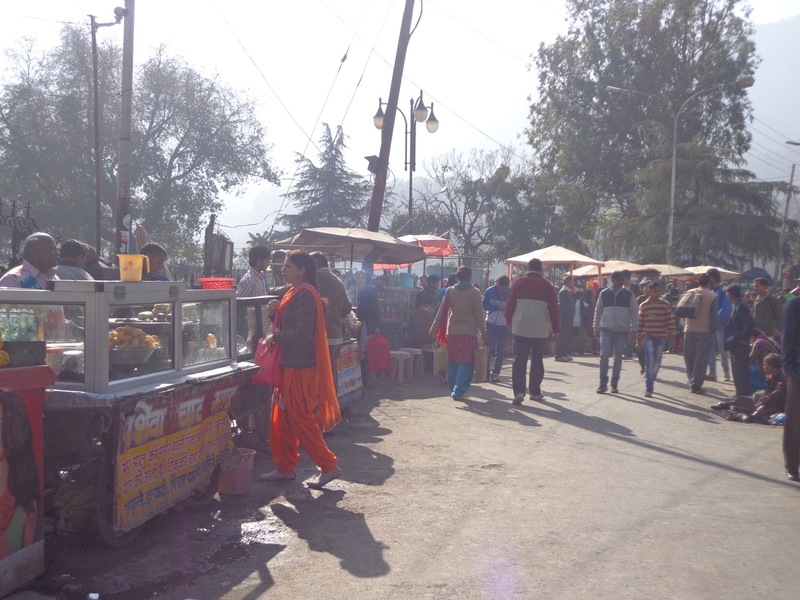 The GPO side of Chaugan had loads of vendors selling street food. A quick search showed that the entire place is filled with temples. I opened TripAdvisor and picked three of them for a visit. All of them were under Archeological Survey of India (ASI). Two of those were close by while the third one was pretty far. Sri Hari Rai Temple from the road in front of GPO. The deity’s room was closed for the day. The work on the temple stones is pretty intricate. My next stop was Laxmi Narayana Temple. 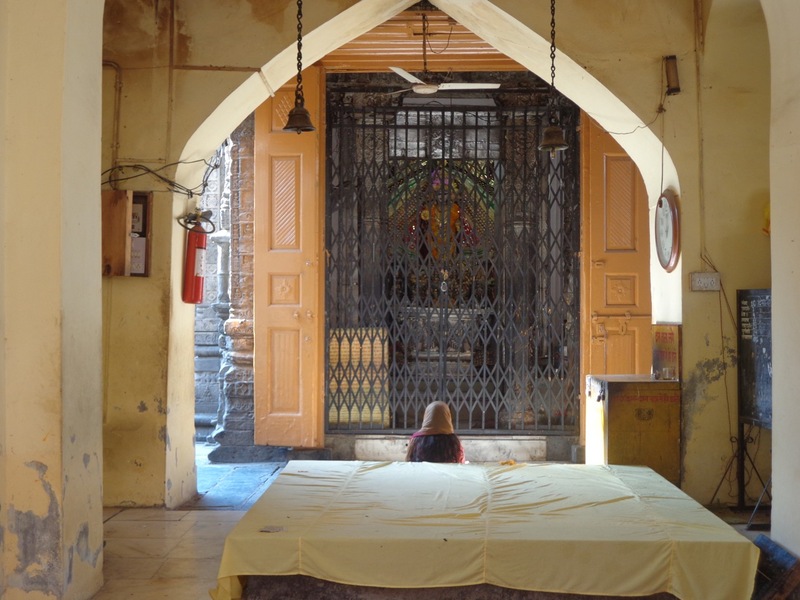 The entrance to this temple was hidden within the bustling market. A really short trek got me there. The compound was quite large. 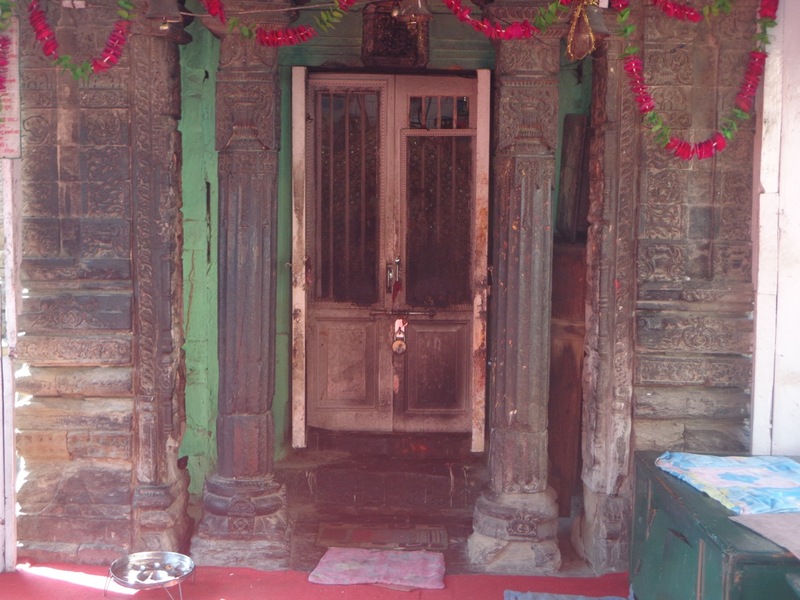 I managed to reach there before the door to the main deity was shut. The priests had not closed the doors, yet. …and this is the back yard. 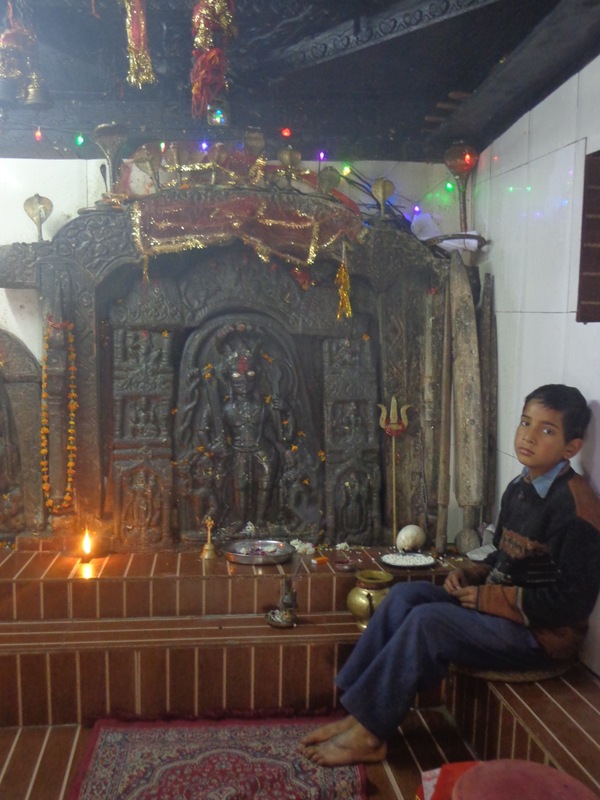 The final stop was Chamunda Devi temple. I had fifty minutes before the departure of my bus at 2:30 pm. 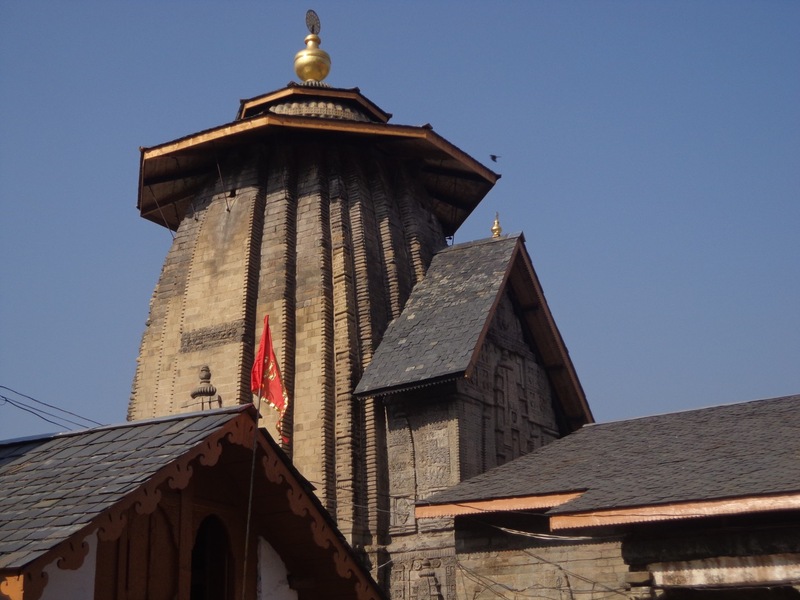 The route from Laxmi Narayan Temple to Chamunda Temple was about 3.1 kms and Google Maps showed that it would take fifty-one minutes to get there! I decided to chuck maps and ask the locals if there was any shortcut. I ended up taking the relatively gentle slope of a road while going up (it was still enough for sweat drops to drip from my head) and descended via a flight of steep stairs while coming back. The former is partially shown in Google Maps while the latter is completely absent. 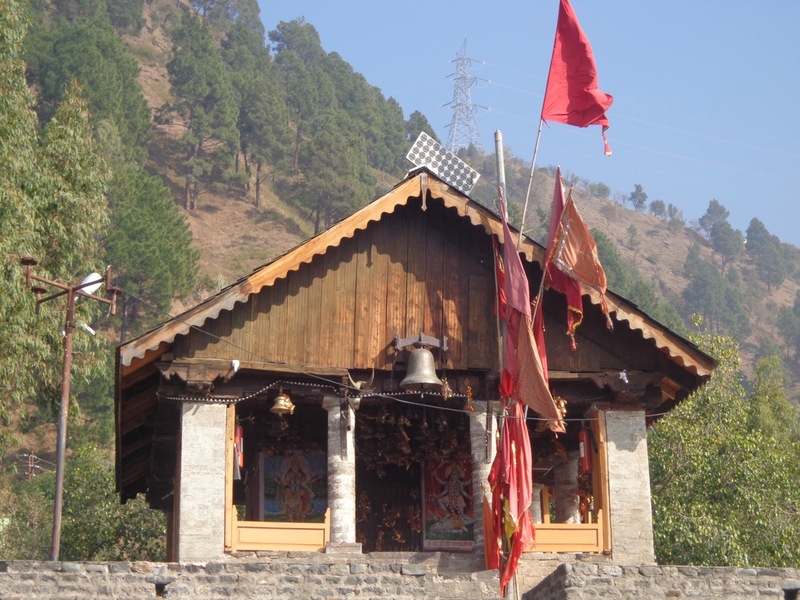 The Chamunda Devi temple at a hilltop in Chamba. 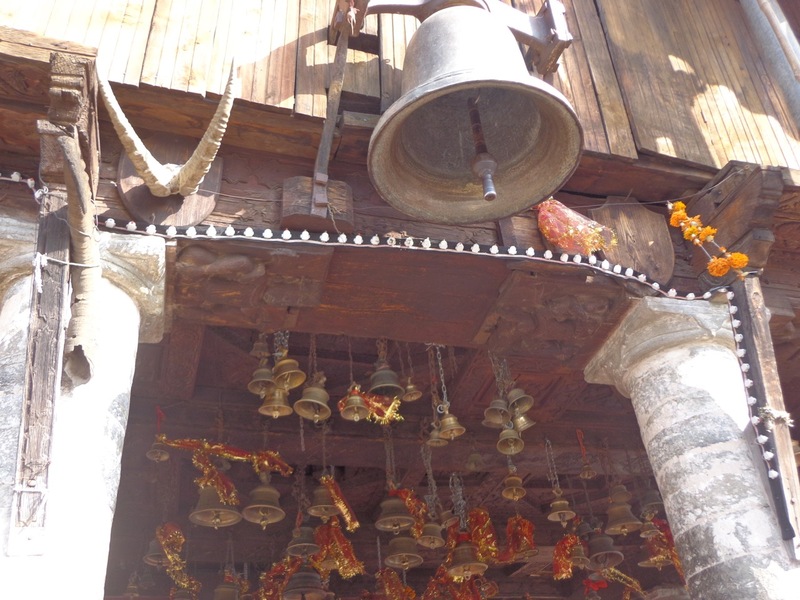 The bell weighs 27 seers and was bought for 27 rupees by Pandit Vidyadhar back in 1762. This is the altitude I had to gain in such a short amount of time. The Chaugan is visible on the left side of the frame. 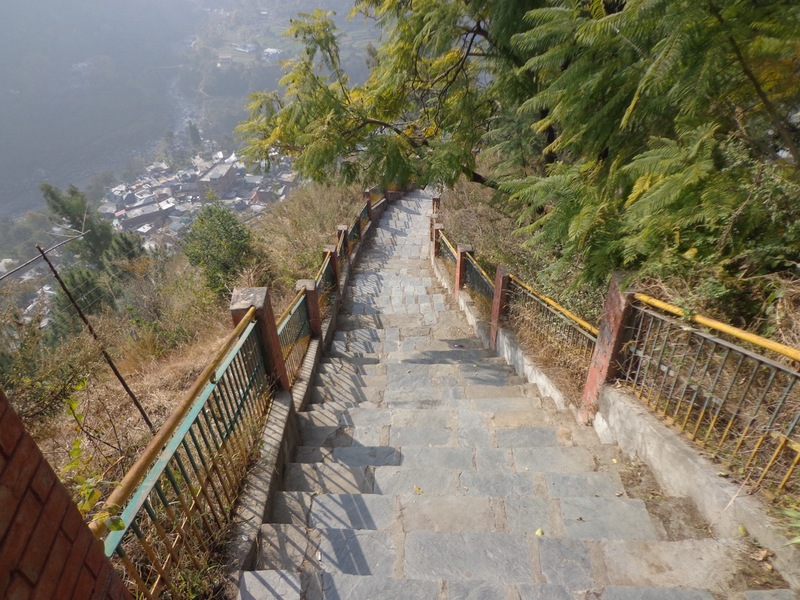 I descended via these steep stairs. It took me about ten minutes to reach the bus stop. I came back to the bus stop with about fifteen minutes to spare. The bus passed beside Chamera Lake. By that time weather had started to get foggy. I was unable to take any snaps of the Lake owing to my sub par camera and decreased visibility. By the time I got down at Banikhet and returned to Dalhousie on another bus, it was quite late. No buses were headed towards DPS. It was a 4.5 kms long walk uphill. The snow clad peaks of Himalayas were visible from the road that runs between the bus stop and GPO. Midway at GPO, I picked up some roasted peanuts and kept munching my evening snacks while heading back towards my hotel room. 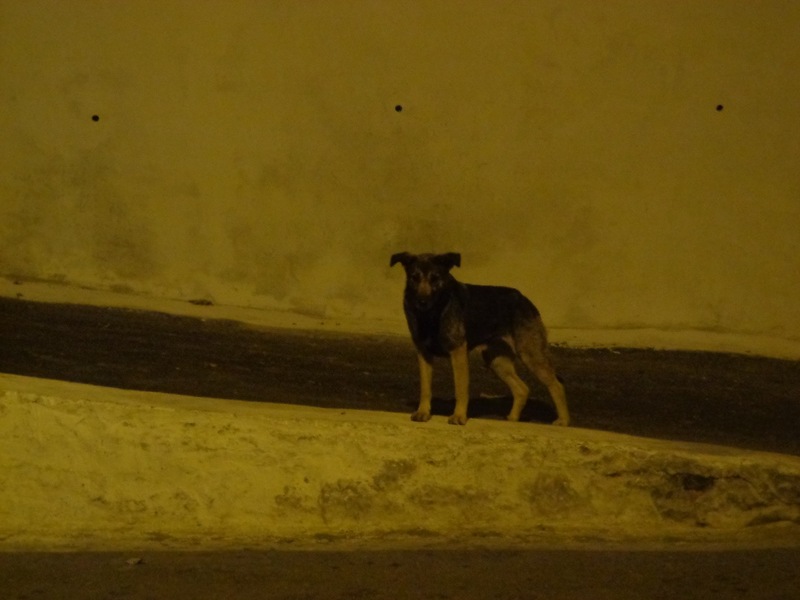 This dog accompanied me from GPO to the end of DPS campus.